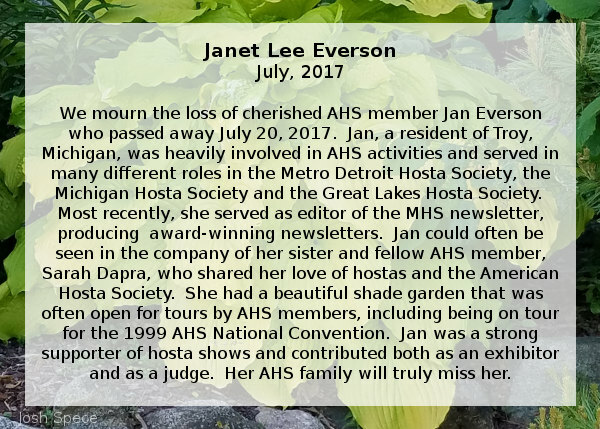 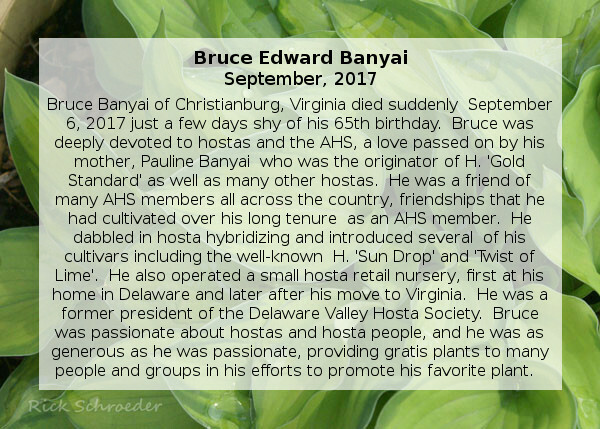 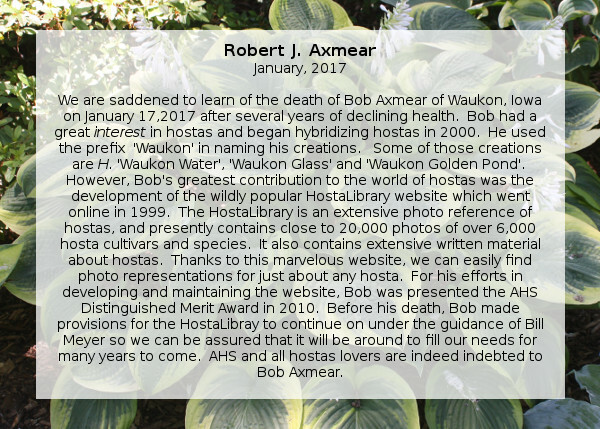 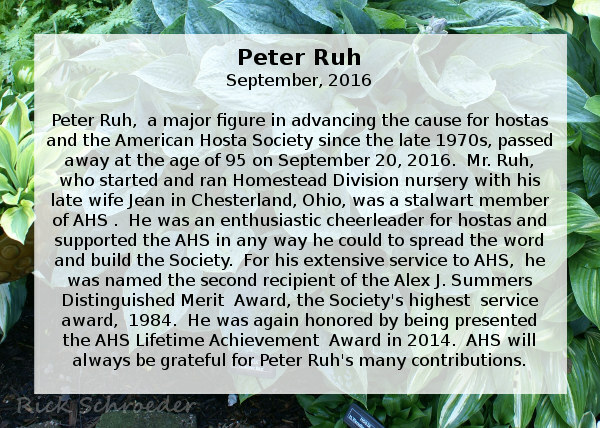 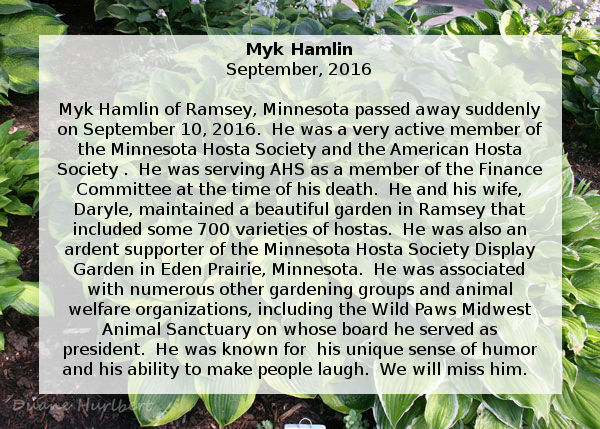 We remember our deceased American Hosta Society members who have contributed significant time and talents to make AHS better. 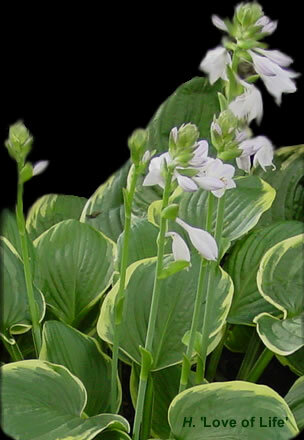 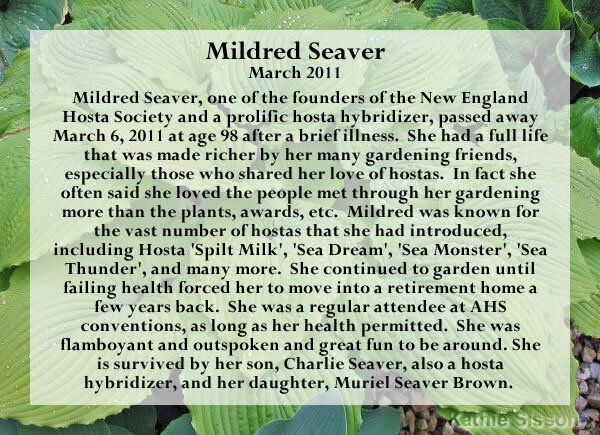 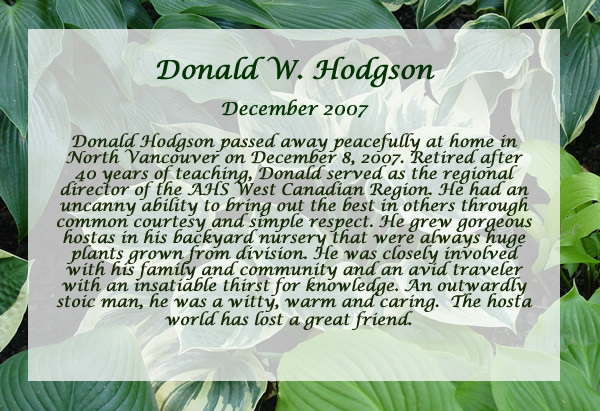 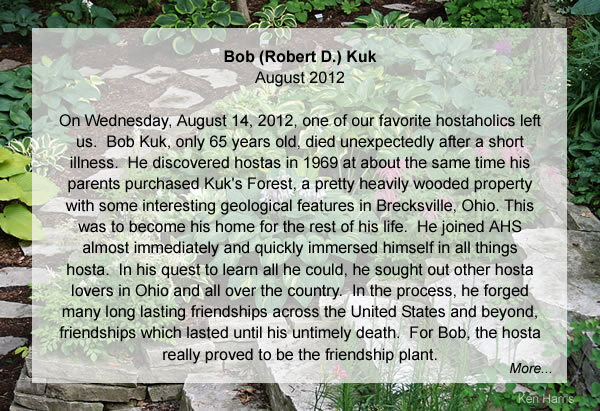 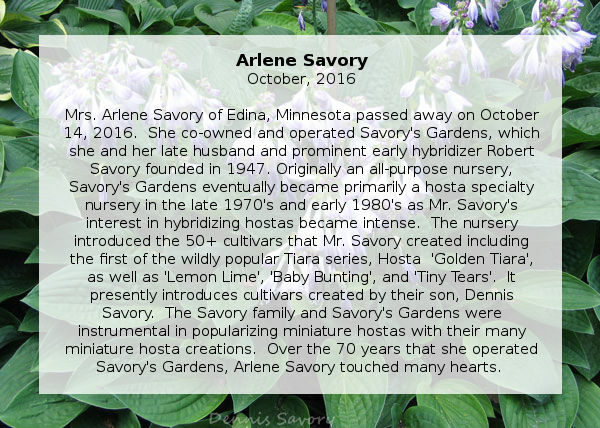 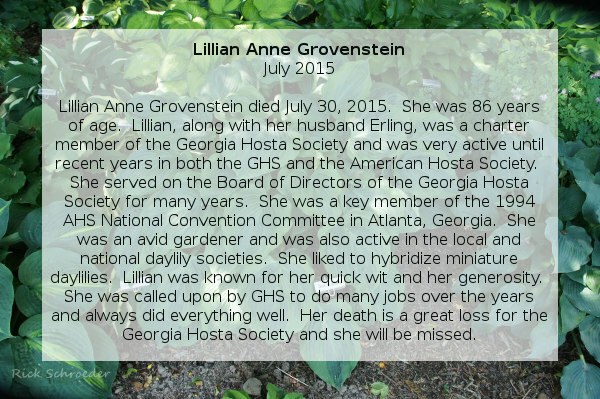 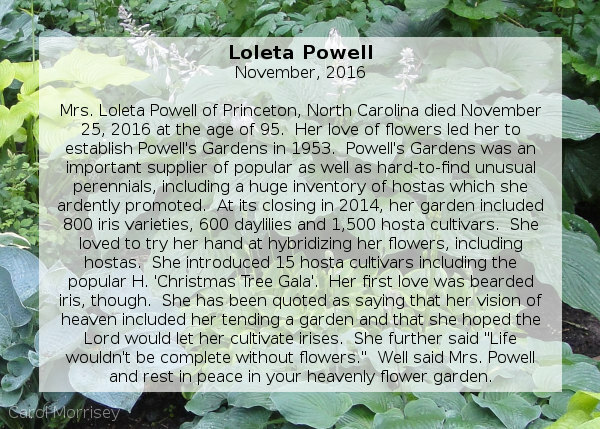 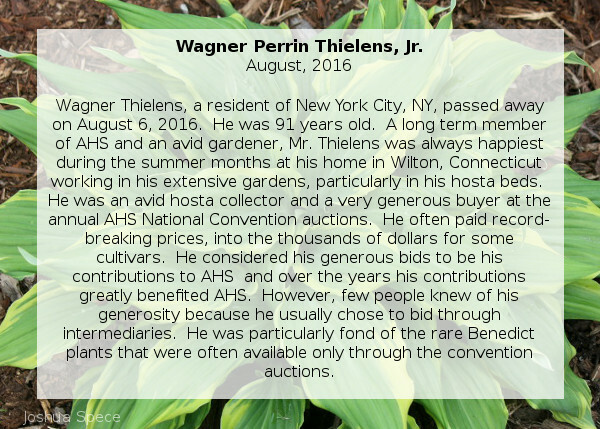 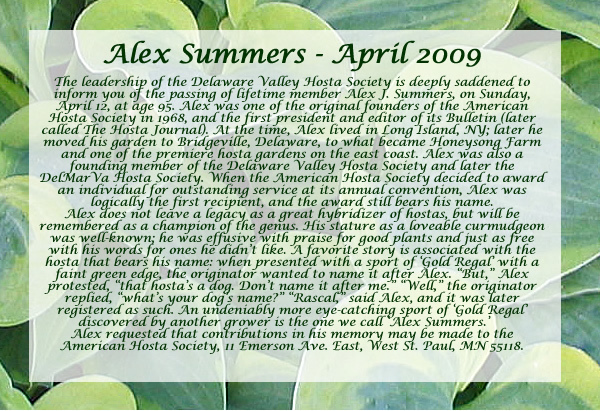 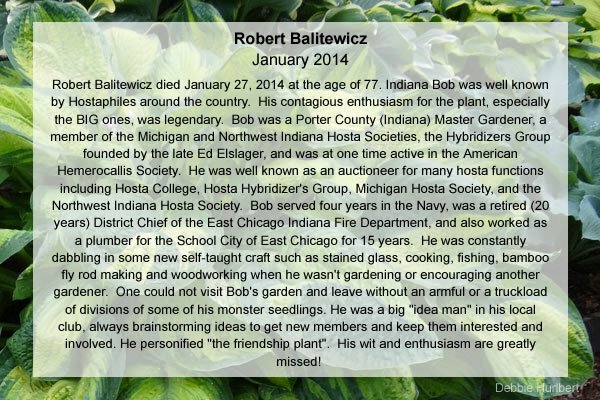 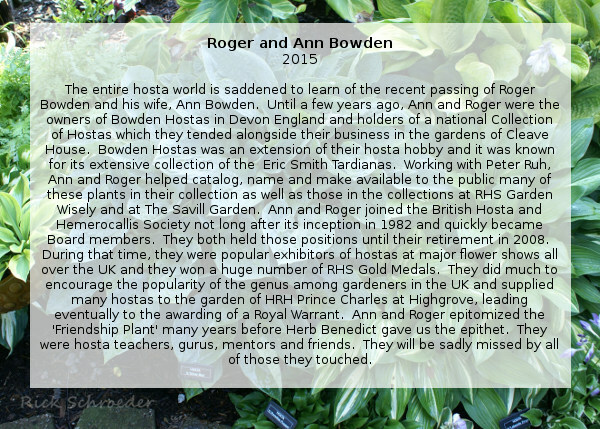 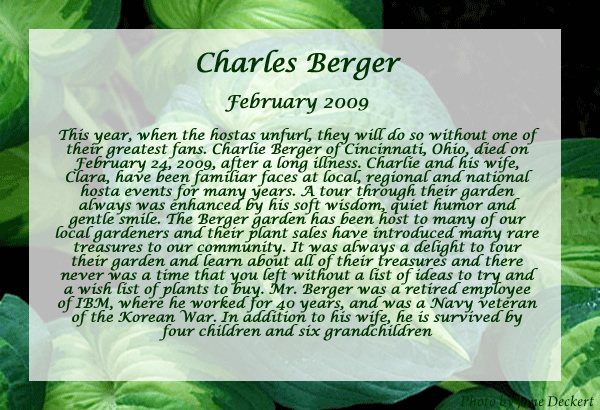 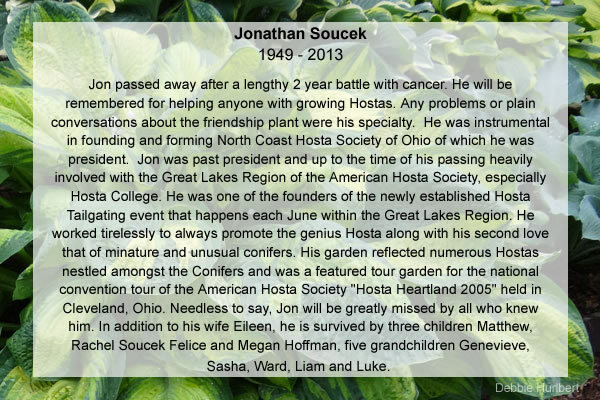 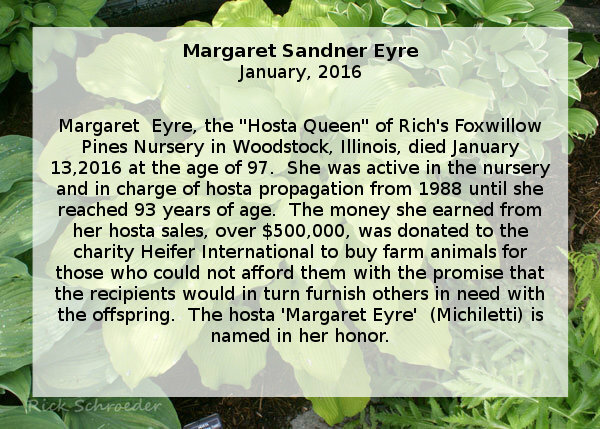 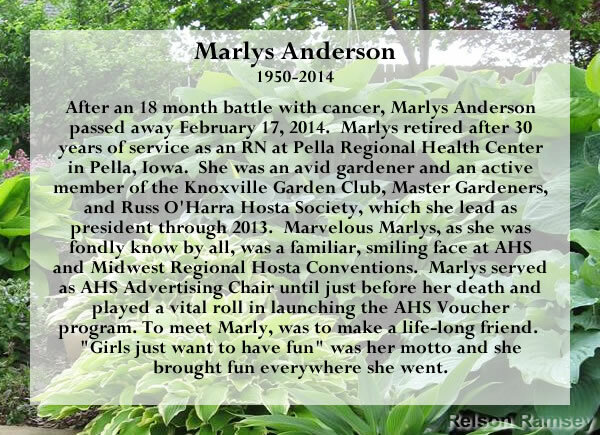 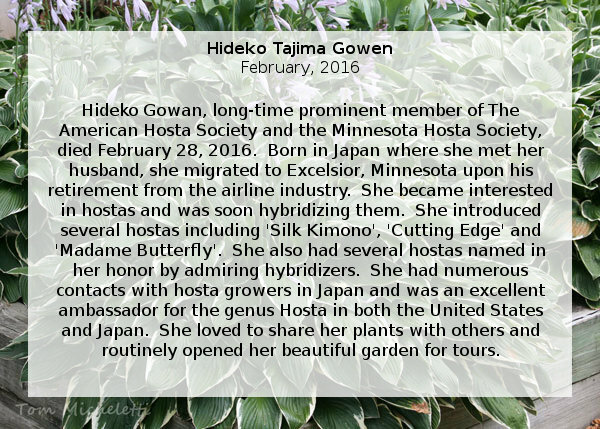 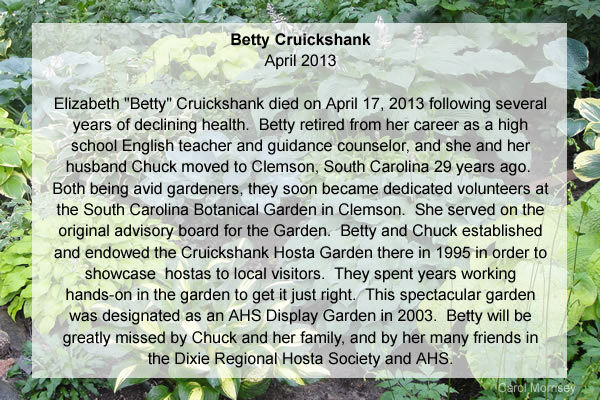 The American Hosta Society would like to honor such people and we welcome information about them from you. 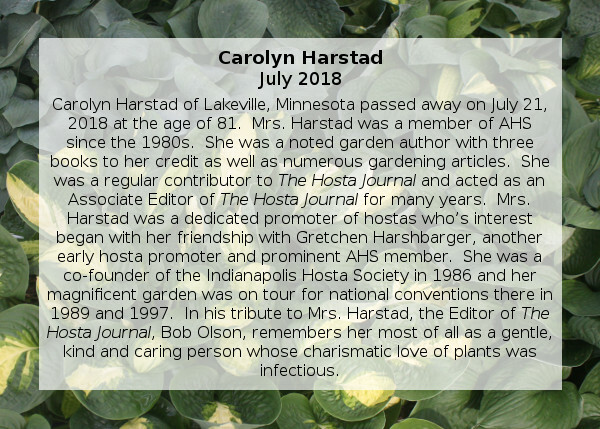 If you would like to write a paragraph and submit it for inclusion on this page, we would be very grateful as friends will usually know much more about such a person than we might know. 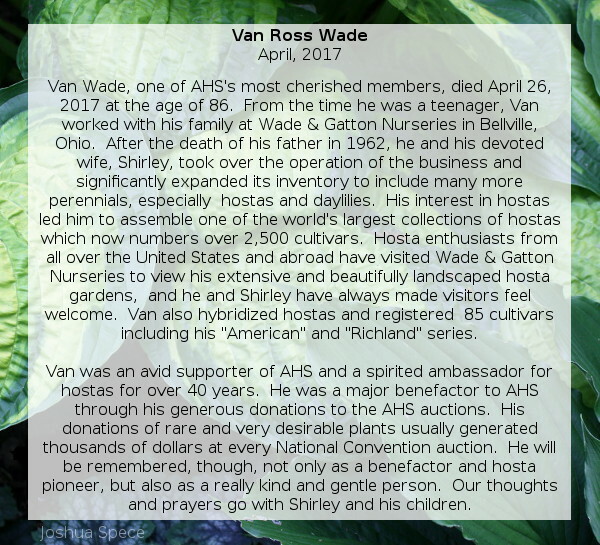 You may also make contributions to AHS in memory of a special person who is now deceased. 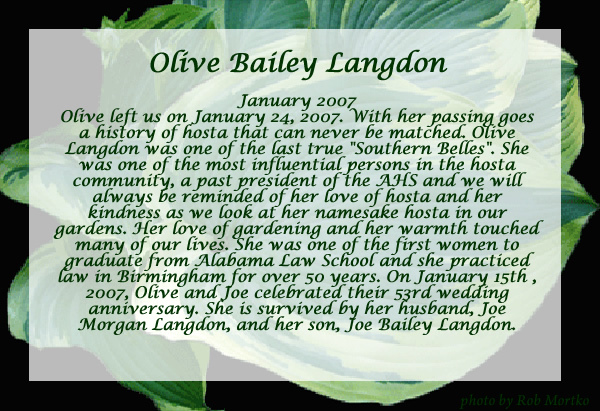 This is a way to help the society and at the same time show your respect for your loved one. 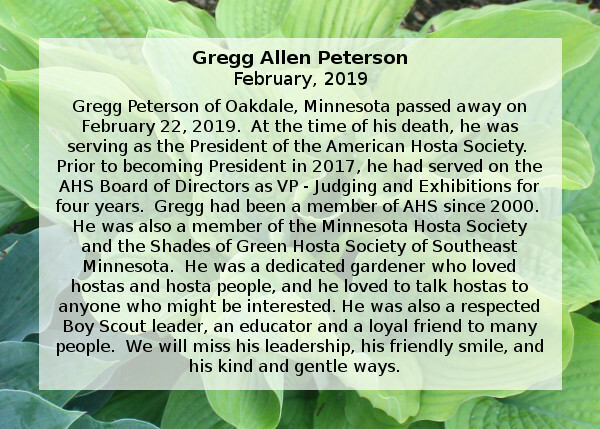 You may go to Support AHS for more information.